Mama June Shannon has taken the plunge and has purchased a nice enormous house for her large family in Georgia – to the tune of $149,000. 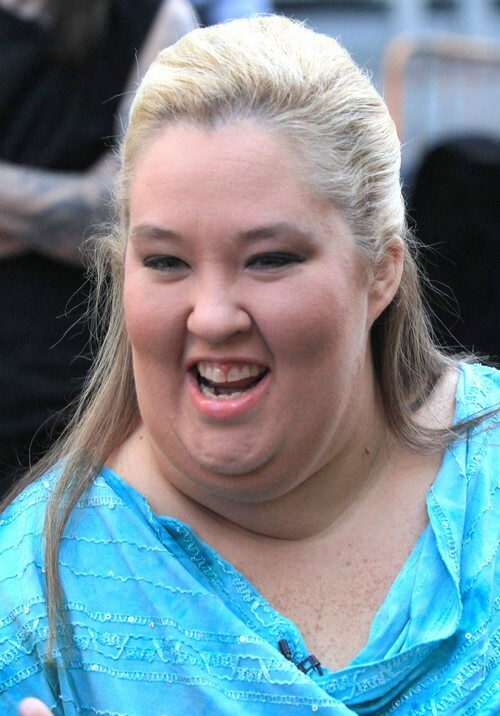 Who knew that Mama June was hoarding that kind of cash in the first place?!? Certainly she would’ve had to get a mortgage loan, but with her being unemployed, it doesn’t make any sense. What bank in their right mind would cough up the dough in order to give this whale a brand spanking new house? The “Here Comes Honey Boo Boo” gravy train may have come to an abrupt halt … but that didn’t keeping June from splurging on new digs … a 3,225 sq. ft, 4 bedroom home in Georgia. And get this (don’t read if you’re from CA or NY — it’s too painful) … she paid $149K. The house may look familiar … it’s the same one she scoped out with convicted child molester Mark McDaniel last September, with Honey Boo Boo in tow. I’m more curious about where she got that kind of loot? Do you think TLC sprang for her new crib?